This post has been sponsored by Lamole di Lamole. All opinions expressed are my own. Please enjoy responsibly. 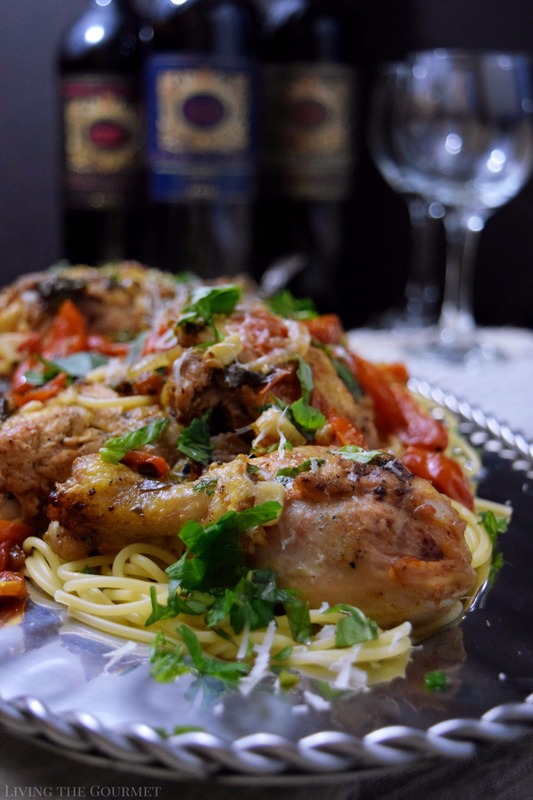 We are sharing a hearty winter meal today featuring Chicken with Fresh Basil and Tomato served over pasta and simple Lettuce Quarters served alongside Lamole di Lamole Chianti Classico! 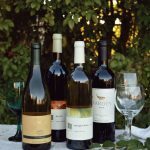 Last month I wrote about some of the types of wines that I grew up with in my first-generation Italian family. Liqueurs such as Sambuca, amaretto, and limoncello were ever-present, while the wines were a predictable assortment of Sangiovese, Sagrantino, and of course Chianti. Back then, these were all imported by necessity, since the American wine and liqueur scene at the time was still quite young, and almost exclusively ‘Anglo-Franco’ in its focus. Naturally, while both myself and my family have broadened our menu, both of my brothers still prefer their Sambuca to, well, pretty much any other liqueur, and I still find myself preferring the familiar aroma and warmth of a quality anisette. However, while my family’s wine menu is very often a trip around the world, we almost always come back to ‘the standards,’ such as sturdy Sagrantino or a quality Chianti for our holiday dinners or a relaxed Sunday evening. That, of course, brings us to brings us to today’s wines, a trio of Tuscan Chianti Classico labels from the Lamole di Lamole winery, whose representatives contacted me some weeks ago asking if I would be interested in putting together a meal pairing for them. Naturally, I agreed. 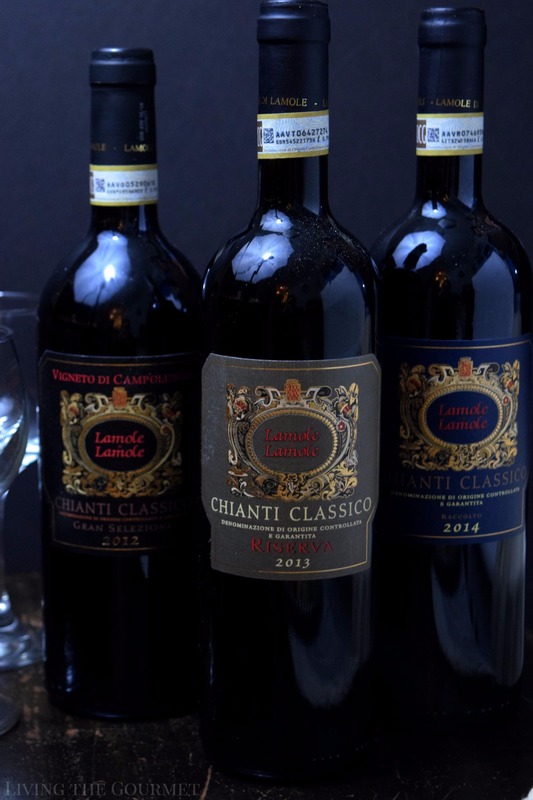 That said, I received three bottles, a Chianti Classico 2012 Gran Selezione, a 2013 Chianti Classico Riserva, and a 2014 Chianti Classico Raccolto from the Tuscany based Lamole di Lamole winery operating out of the Chianti Classico DOCG. Now, like the Rioja we posted about just recently, Chianti Classico is possessed of a classification system. First off all, for a Chianti to be dubbed ‘classico,’ it needs to be aged for a minimum of one year. 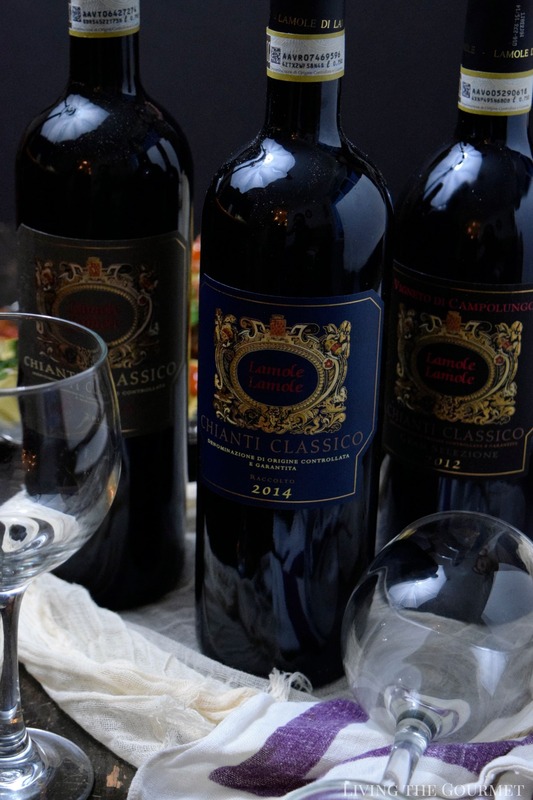 The top Classico wines are dubbed ‘Gran Selezione,’ and as the name implies these are wines selected as being the very best incarnations of Chianti, and these must be aged for a minimum of two and a half years, and must be estate grown. Directly below the Gran Selezione wines are the Riserva, which are aged for a minimum of two years, with ‘standard’ Chianti Classico, as well as Rufina and Superiore, being aged for a minimum of one year. In each case, the wine must be 80% Sangiovese. With that out of the way, we begin at the top, the 2012 Gran Selezione Off the top of the glass, the wine introduces itself with spicy aromatics, with hints of clay or soil and leather becoming prominent deeper into the glass. On sampling, the wine is instantly smooth, with dark fruit washing across the palate with very vague hints of cherry and vanilla popping up every so often. The finish is pleasant and lasting, with hints of herbs and tobacco closing out the experience. Next up, the Riserva. On pouring, the wine greets with dark berry aromas, with dried floral accents or light herbal notes propagating in the background, and intensifying deeper into the glass. On sampling, while an assorted berry palate is immediate, particularly wild berry or cut black berry, cinnamon or perhaps muted spice notes are also quite evident. The mouthfeel is smooth and pleasant, with a very lasting finish. Finally, we come to the 2014 Chianti Classico. 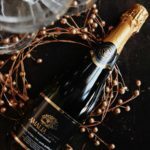 The wine introduces itself with an instantly earthy aromatic profile – think soil, wildflowers, and just a hint of zesty menthol, with fruit essences perforating deeper into the glass. On sampling, the wine is a largely by the book Chianti Classico, featuring dark berry mixed with dried spice carried on fine tannins, with a pleasant licorice finish. Food pairings for Chianti are rather straightforward. 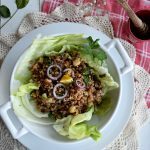 Think red sauces, think rich fatty meats, and spicy foods, since the wines’ naturally tannic qualities can cut through such substantial meals. 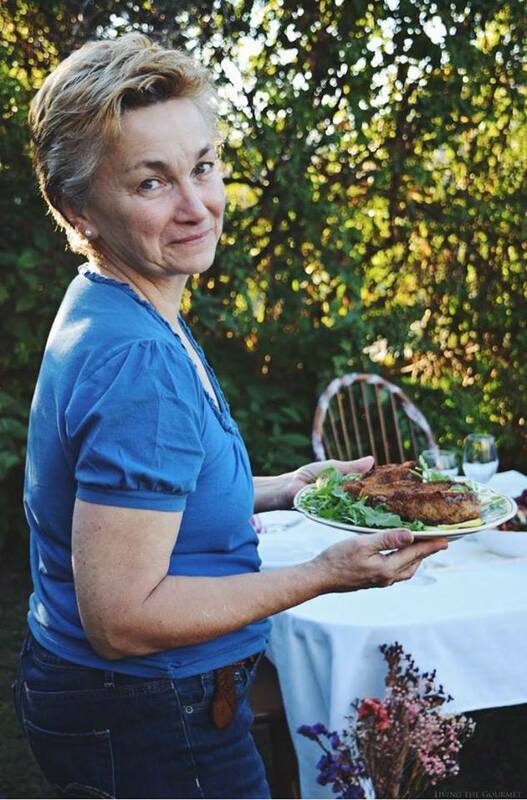 Basically, think Northern Italian cuisine, or Old World Sunday night dinners. That said, to pair with any of these three wines, I decided to put together Chicken served with a Fresh Tomato and Basil Sauce, alongside a Lettuce Wedge Salad with parsley, honey, and parmesan. Yes, I practice what I preach. To start things off, we place the sliced chicken in a large bowl and season with salt, pepper, and paprika, and then drizzle with olive oil and toss as shown below. While we let the chicken sit, we heat a large cast iron frying pan with butter, and then set the chicken in the pan to brown. Once the chicken has browned, remove it from the pan, and then add a bit of olive oil into the pan with the garlic and onions, and toss that on low heat until the garlic is nice and fragrant. Then add a bit of wine to the pan, and let that sauté until the wine begins to evaporate, and then quickly add in the tomatoes, parsley, basil, bay leaf, and chicken broth, and allow that simmer on low heat for about twelve minutes, at which point you’ll want to add the seasonings listed below with the raisins. Then add the browned chicken to the sauce, and cover, and let that cook together over a low heat for about forty-five minutes to an hour. 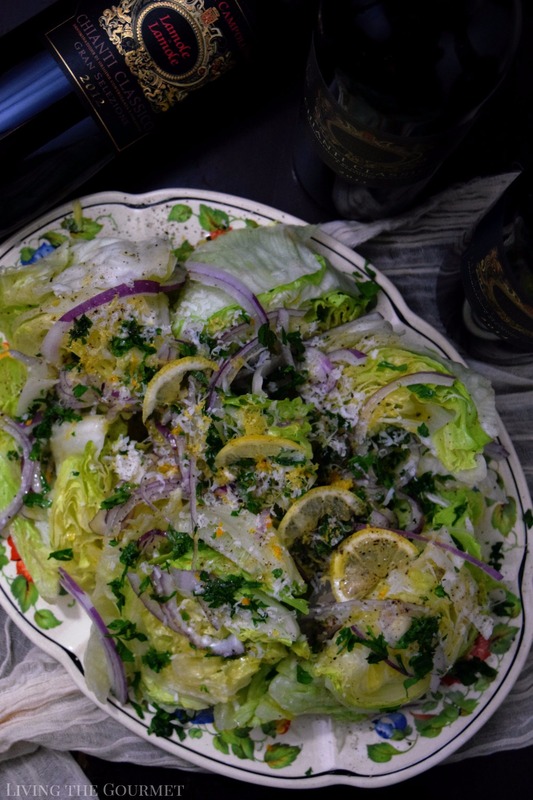 While the chicken is cooking, you’ll want to prepare the wedge salad as directed below, platting it with nice drizzle of honey and olive oil. Then simply prepare your preferred pasta, and you’re ready to serve. 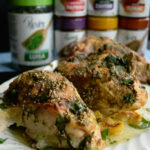 Place the chicken in a bowl and season with the salt, black pepper and paprika. 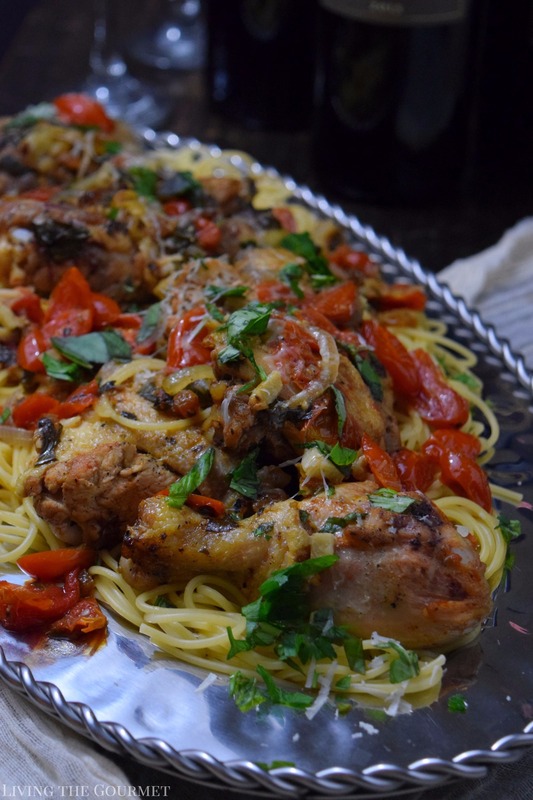 Drizzle the olive oil over the chicken and toss. Heat a large cast iron frying pan with the butter and place the chicken in the pan to brown. Remove the chicken and reserve while preparing the sauce. Add the olive oil to the pan and the garlic and onion. Toss a low heat until the garlic is fragrant. Add the wine and sauté until the wine begins to evaporate. Add the tomatoes, parsley, basil, bay leaf and the chicken broth to the pan. Simmer on a low heat for about 10 – 12 minutes. Add the seasonings and the raisins. Add the browned chicken pieces to the sauce and cover. Cook the chicken on a low simmer until it is cooked through and tender; about 45 minutes to an hour. The juices should run clear when cut at the thickest part. Prepare the pasta as directed and serve with pasta. 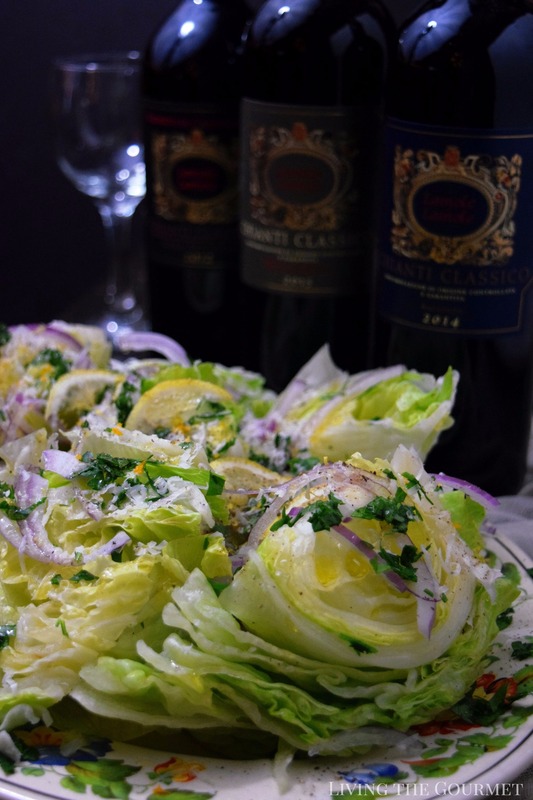 Place the lettuce wedges on a platter. Zest the lemon over the wedges, followed by the grated cheese, chopped parsley, salt and pepper. Drizzle the olive oil over the wedges, squeeze of lemon juice and a drizzle of honey. That said, I can wholeheartedly recommend the wines of Lamole di Lamole to any of my readers looking for quality Chianti at a reasonable price. That's a GREAT meal! You made the boring iceberg salad look really tempting! Wow, this sounds really delicious and simple! I'm a huge dark meat girl, so I would use all thighs and drumsticks. Chianti was always on the table at my grandparents! What a wonderful meal and wine pairing! I'd certainly dive right into this one! The fresh basil and tomatoes look so colorful and delicious! Oh wow! This sounds and looks incredible Catherine!!!! Like soooo good!!! What a warm and comforting meal! I can't wait to make this for my family!